My Experience With Cooking: Spanakopita-Greek Spinach and Feta Parcels~And an award too!! You are here: Home > Snacks > Spanakopita-Greek Spinach and Feta Parcels~And an award too!! Spanakopita-Greek Spinach and Feta Parcels~And an award too!! Spanakopita is a Greek pastry made with spinach, feta cheese, herbs, eggs, green onions along with other ingredients. This is commonly served as an appetizer or snack. The filling is enclosed in flaky phyllo pastry sheets and oven baked until golden brown, the colour enhanced by brushing the pastry with egg whites. There are few ways to make this pastry. It can be either made as a pie by enclosing the filling within layers of phyllo dough and later cut into triangles or the filling itself is divided into equal portions and each portion is placed on top of stacked phyllo sheets, each sheet greased with olive oil to enable it to stick to the other sheet stacked on top of it and rolled to form triangles. If you are new to phyllo pastry then there are few important points to be noted while handling phyllo dough. Phyllo dough can be stored in the refrigerator for weeks. When working with phyllo dough make sure that everything else is ready as you need to work really fast once you have opened the phyllo sheets. The phyllo sheets when exposed to air become dry and brittle and then it would be difficult to work with them. So only work with the dough at the end of preparation.The top surface of each sheet is brushed with olive oil or butter before placing another sheet on top to enable the sheets to stick to each other. Also phyllo sheets are not similar to puff pastry the difference being in the method of preparation, though they may look similar when baked. I adopted this recipe from the book 'The Complete Cookbook-Vegetarian' by Helen Aitken. With more than 200 recipes this is an indispensable one for any vegan cook with each recipe accompanied by eye catching shots of the final dish along with step by step photographs. I have modified the recipe to suit my taste and here is my version. Cook chopped spinach over low medium heat until leaves have wilted. Cool and drain well. Squeeze tightly to remove excess water. This step is very important because moisture in spinach turns phyllo dough soggy. Keep aside. Heat some olive oil in a pan over medium heat and saute onions until it turns transparent. Add green onions and saute for 1-2 minutes. Remove from heat and allow it to cool. Add drained spinach to the above mixture and mix well. Add parsley, dill, nutmeg, Italian seasoning, chives, oregano, Parmesan, feta, ricotta and mix well. Add beaten egg followed by salt and pepper. Do not add too much salt as feta cheese is salty. Mix thoroughly. Work with three sheets of pastry at a time covering the rest with a damp tea towel. Brush each sheet with melted butter and lay them on top of each other. Continue this process until a stack of 3 sheets are formed. Cut into half length ways. Spoon a portion of the filling at an angle at the right end of each strip and fold the right end towards the left enclosing the filling to form a triangle. Continue folding the triangle until the end of pastry is reached. Brush the outer surface of the pastry with egg white. Place the triangles on a greased baking tray and bake for about 25-30 minutes or until golden brown. My Favorite Things:Cheese event hosted by Poornima of Tasty Treats and started by Bindya. 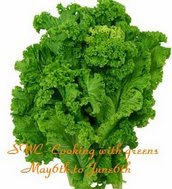 SWC-Cooking With Greens hosted by Sowmya and started by Lakshmi. I hereby pass this award to all my friends in the blogging world(all nominees are there in Fellow Bloggers link at the top of the page) who have supported and encouraged me. So friends, please take this award with you. Oh my. These sound great. I have eaten spanakopita before but never tried making my own. It's on my list of treats to try! Oh wow pooja thats looking fantastic.. can u please parcel me those parcels.. waiting to have bite. Thanks for ur lovely comment dear and regd the milk it takes maximum 1/2 hr thats all, u can do some other works parallely by keeping them low flame so that we will not feel the time. Thanks a lot Pavithra for the quick response! Will try out your rabdi for sure. I love spanikopitas but handling phyllo sheets scares me! They look so thin and fragile. Looks crunchy and perfect, Pooja! Looking crisp and nice pooja..I never try international dishes like this except chineese..should start to taste some..
Thats a fabulous entry for both event Pooja,yet to try these spanakopita, seems very simple..
pooja this looks great...have you also made baklava? Thanks DB..unfortunately no..I'm yet to try Baklava though I love it! Pooja this looks very yummy and a scrumptious dish, a splendid presentation... Love the way its been cooked I mean the choice of ingredients... Phyllo Pastry, thats new is it different from the others??? Thanks Ramya :) Phyllo dough is paper thin sheets of raw dough made with flour, water and small amounts of oil. It can be obtained from the frozen section of stores. Its different from Puff pastry which is made with flour, lots of butter and other ingredients. I've never heard of that cookbook before. That spanakopita sounds lovely. I love those greek dishes. Thanks Helene :)There is another one too: The Complete Cookbook-Asian by the same author. The dish name is so unique..feta and spinach are wonderful combination..Nice tips for the phyllo dough..Great work!! What a lovely dish.I never heard of this.I think it must be tasty.Its perfect dish for the event. Have seen this before but never tried making or tasted this ... looks really delicious and healthy too..Thanks for sending this over to cooking with greens..
Have had this in a greek restaurant once. Spinach n chese form a great combo! Wow that looks amazing lol....u guys r lucky to get those phyllo sheets there..Here w get bored of eating those regular puffs.. Thanks Prathibha :) Yes I understand! This looks similar to puff pastry when baked but guess its more healthier coz puff pastry is made with lots of butter! I love spanakopita. I had it at spiros, a greek restaurant nearby. Loved it because I love cheese and greens. And the papery dough is the best. U have made it perfect. You picture says it all. Congrats on the award. Wow Pooja,Lovely dish,looks colorful and delicious. wow this looks amazing Pooja!!!! wow.. u made these? awesome! Here is something great and new for me to try...The Spanakopita is rocking and well captured.. Your food photos are really something! That spanakopita is really calling out to me :) Really delicious! Congrats on your award, dear! 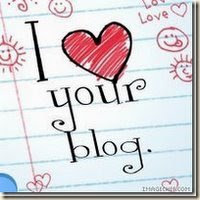 Thanks Shabs..Yes I came to know from your blog. How sad! Hope you get the system fixed soon.